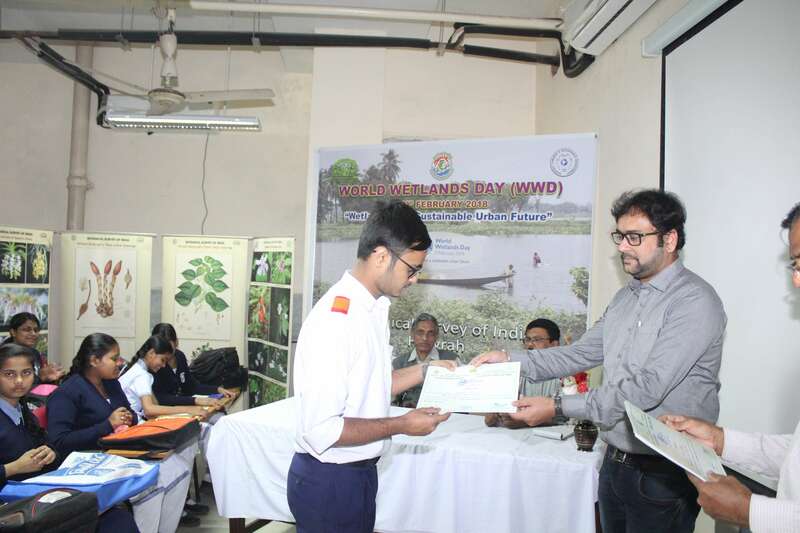 BSI-ENVIS RP celebrated the World Wetlands Day with the theme Wetlands for Sustainable Urban Future in collaboration with Central National Herbarium, Botanical Survey of India at CNH Building, AJC Bose Indian Garden, Howrah – 711 103. Dr. V.P. Prasad, Scientist ‘D’, BSI welcomed the participants. The Director, Botanical Survey of India in his address expressed the need of wetlands and involvement of students for sustainable urban future. Dr. P. M. Padhye, Additional Director, Dr. B.K. Sinha, Additional Director, BSI, Dr P.V. Prasanna, Scientist ‘F’ & HoO, CNH and other scientists were present. Teachers and students of BE College Model High school, Howrah and Thanamakhua Model High School, Howrah participated in the programme. More than eighty persons attended the programme. 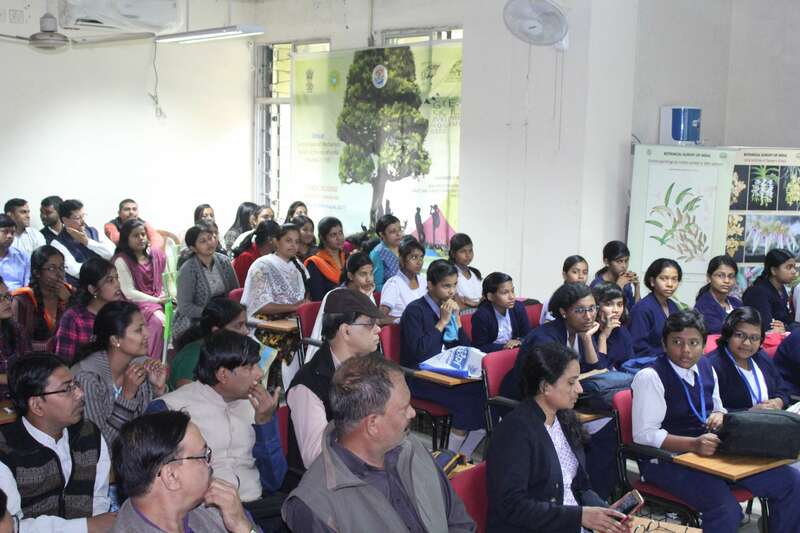 Dr. Animesh Maji, delivered a lecture on ‘Importance of Wetlands’ in regional language with slide show. 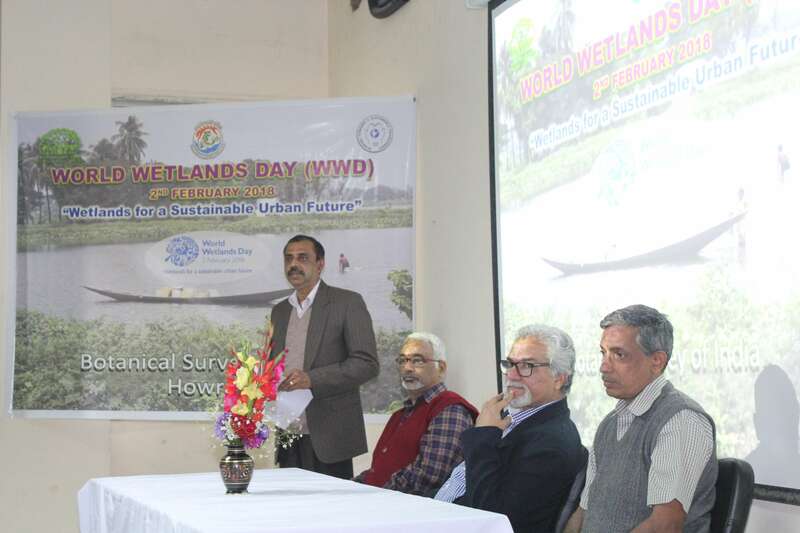 Dr Kumar Avinash Bharati, delivered a lecture on ‘Significance of Wetlands’ with slide show. 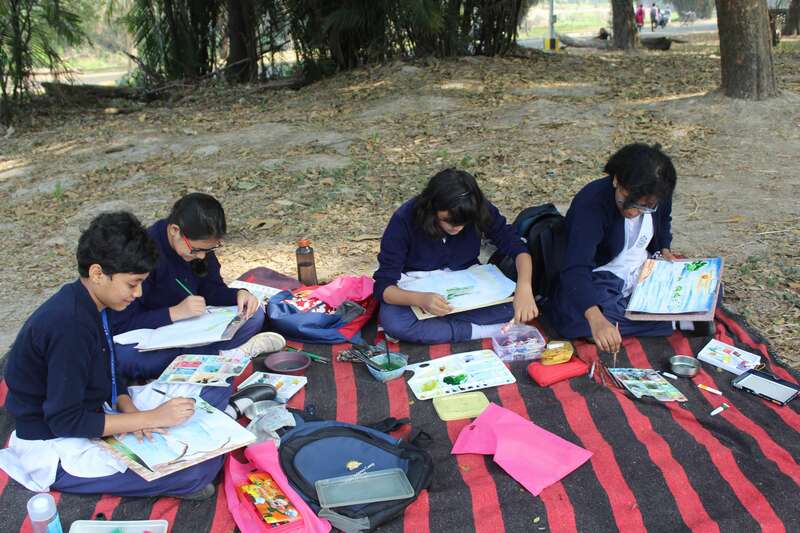 Drawing competition was arranged for the students near the lakes of AJC Bose Indian Garden. Prize distribution was followed by presentation of certificates to all students. Students and teachers shared their views and opinions and thanked BSI-ENVIS RP and BSI for organising the programme. Vote of thanks given by Dr. M.U. Sherief, Scientist ‘E’ and HoO, AJCBIBG.